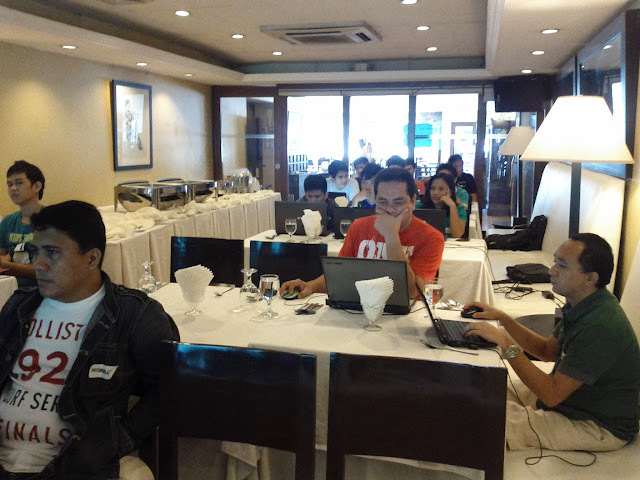 Last weekend, we were at Bacolod for the Google Apps Challenge Meetup on July 21. Anne Olvido, community manager of GDG Bacolod invited me, JM Ibanez and Clair Ching as speakers for the meetup. Early morning of July 21, the four of us flew in an Airphil Express flight, which also happen to have Anne Curtis too, who we later found out will be having a concert there in the evening. After dropping off some of our things in the hotel, we went to the venue, 21 Restaurant. Clair talked about the Google Apps Challenge competition then JM talked about Google Apps API. I was the last speaker and I talked about Google Drive API, the same one I had in the Manila meetup. 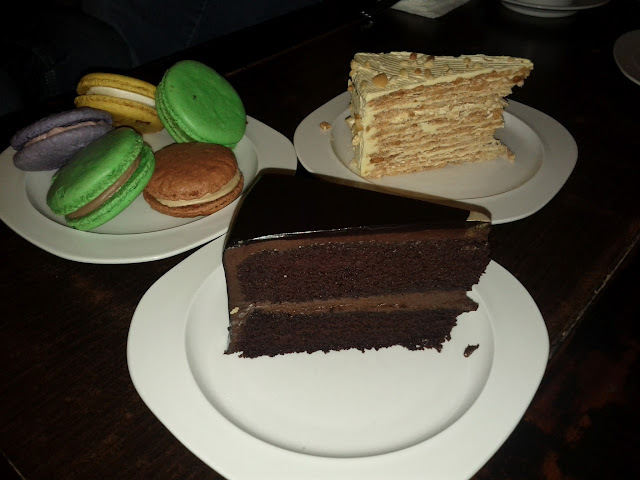 A photo taken during the meetup. 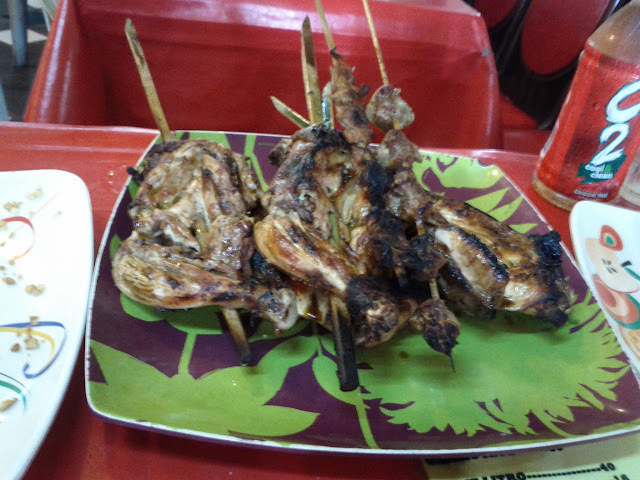 After the event, we had our dinner at Pepe's and on the next day, we had food trip experience here and there. 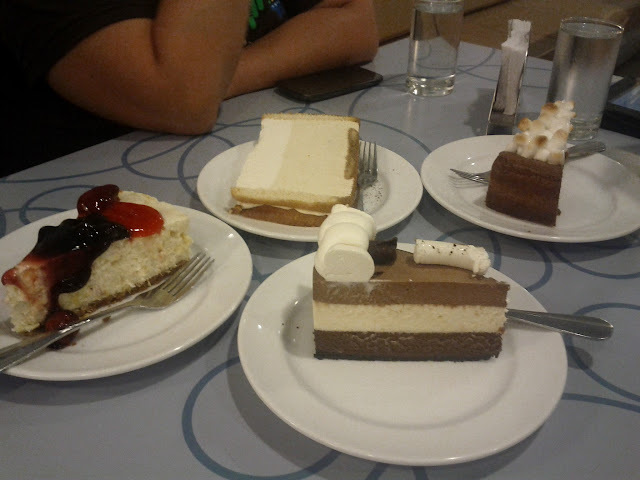 We triedcakes at Calea and Felicia's and had lunch at Aida's in Manokan Country. Next month, GDG (Google Developer Group) Philippines, will be hosting the first GDG DevFest. DevFests are now community-organized but will still be a great and free developer event where you can learn a lot about Google technologies and more. There will be speakers from Google and some Pinoy developers this year. GDG Devfest will be on August 4, 2012 at AIM Conference Center. To sign-up, visit the official blog at http://gdgdevfestph.blogspot.com/. Meanwhile, the first annual g|Philippines in Manila will be on August 3 and 4, 2012. Day 1 will be for Business, Marketing, and Entrepreneur and the second is University Day. The venue will also be at AIM Conference Center. For details, check the site at https://sites.google.com/site/gphilippines2012. Last July 6-7, 2012, GDG Philippines organized a meetup/hackaton for the Google Apps Developer Challenge 2012 at the CodeFlux Inc. office. The event intends to give introductory talks about Google Apps and Google Drive APIs especially to those who are planning to join the competition. 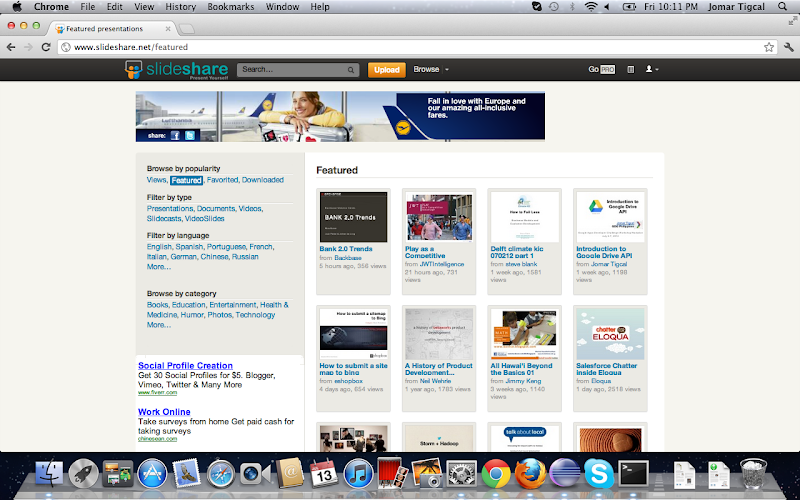 My slides also got featured on SlideShare's homepage last July 13, 2012.